Stem cell lessons: Insights on SCNT in studies, commentary | "Latest Stem Cells News"
In papers in Nature, Nature Communications, and Cell Stem Cell, that scientist, who is now at the independent New York Stem Cell Foundation (NYSCF) laboratory, and Harvard researchers, report on the SCNT advance. In addition, they report on an experiment explaining why other attempts at SCNT have been unsuccessful and offer a commentary reporting that it is impractical, if not impossible, to recruit ova donors without paying them. 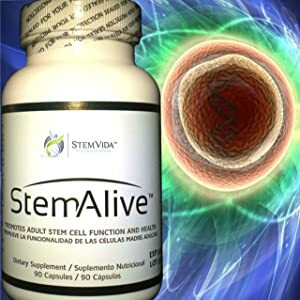 Ironically, all three reports serve to underscore how astoundingly fast the field of stem cell science has advanced since 2006, when it looked as though SCNT provided the only path to the creation of disease-specific stem cell lines from patients. These stem cell lines might then be used for studying disease development, for transplanting to treat diseases, and as targets for the development of conventional drugs. The creation of induced pluripotent stem cells (iPS) and the successful reprogramming of one form of adult cell into another form of adult cell have provided researchers with alternatives to SCNT, and decreased interest in it. However, because it is still too early to know which avenue of research will prove the most useful in increasing understanding of various diseases, groups have continued their research efforts in SCNT as well. In fact, Melton, who is also the Xander University Professor, and Eggan report that although 239 women responded to advertisements seeking ova donors, and 79 met all the study requirements, only a single woman ultimately donated eggs, and the attempt at SCNT using those eggs failed. If SCNT research is to be successful, Melton and Eggan argue, researchers must be able to adequately compensate donors for the time, risks, and inconvenience involved in the donation process. Because they were unable to recruit ova donors, Eggan, Melton, and Dieter Egli — the NYSCF researcher then a postdoc in Eggan’s lab at Harvard — attempted to perform SCNT using zygotes (very early stage embryos) donated by couples undergoing fertility treatment, from which the nucleus was removed and replaced with genetic material from patient skin cells. The researchers report in Nature Communications that though this procedure was successful using mouse zygotes, producing stem cells within hours of nuclear transfer, all attempts using human zygotes failed. 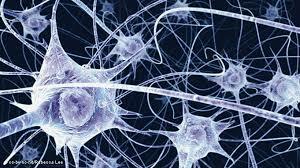 What this suggests, they say, is that there is an as yet not understood natural barrier to human cellular reprogramming after SCNT. Egli went on to establish his own research group at the independent New York Stem Cell Foundation (NYSCF) laboratory, where he is a senior research fellow. In New York state, lack of an ova donor payment statute made it possible for Egli to compensate donors for their participation and continue his SCNT work. He now reports in the latest edition of Nature that along with his colleagues at NYSCF, Columbia University, and the Naomi Berrie Diabetes Center, his group has produced a stem cell line containing the genes of a diabetic patient, and has also pinpointed the cause of the SCNT method’s previous failure. Egli’s work suggests that success was prevented due to aspects of one of the phases of the manipulations required during SCNT. Although this finding allowed Egli’s group to produce a stem cell line, further work would be required before a precisely matched patient stem cell line might be made.